Upon pulling into the grounds of the International Polo Club in Wellington I was automatically transported back to my days attending Polo as a teenager in England. The memories of freshly cut grass, the polo ponies in the stables, divot stomping and shiny trophies behind cases came rushing back to me and suddenly I was giddy with nostalgia of my days spent in Roehampton England! 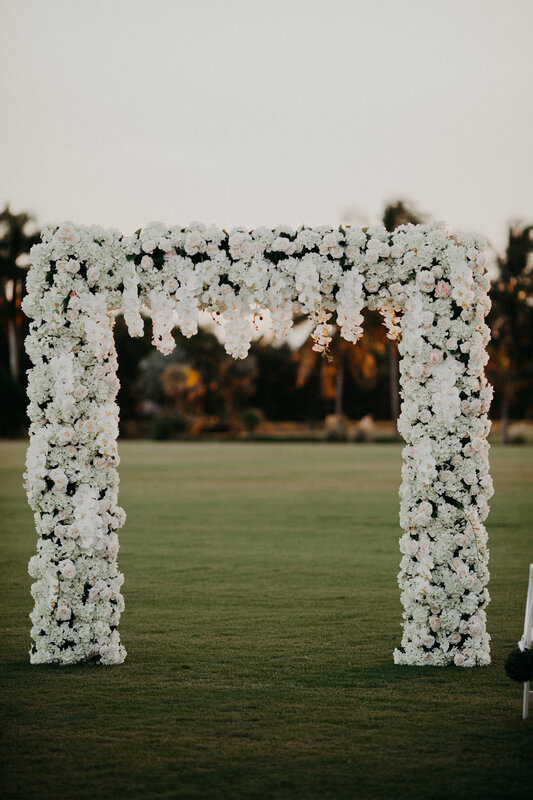 Memories like these really make me want to create a quintessentially Classic, timeless and traditional wedding...............and so my work began! 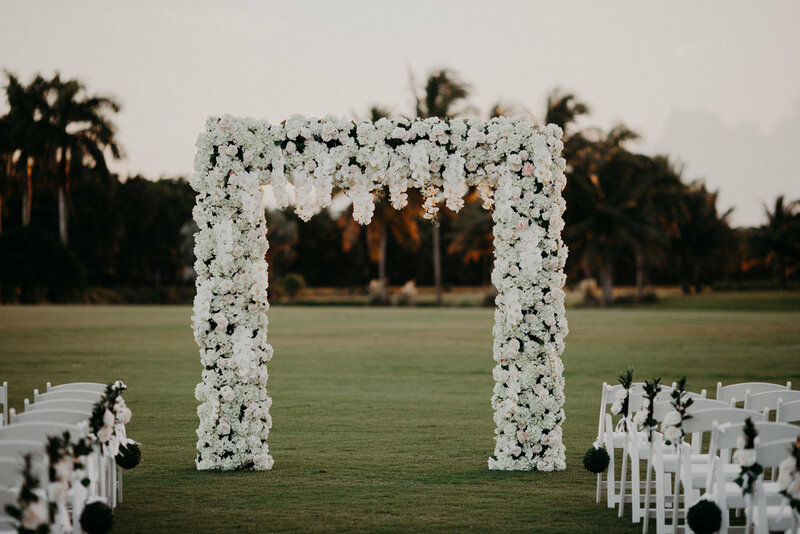 We started with the ceremony area........ a stunning arch way of white and ivory hydrangeas, roses, spray roses and cascading phalaenopsis orchids to add that touch of luxury and decadence to the event. The centerpieces were a blend of the same flowers for a cohesive look placed upon a tall gold trumpet vase and candles glowing at the base for added ambiance.